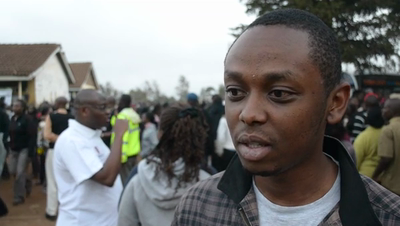 On election day at Uhuru Gardens Polling Station, Osman gives his first impressions. 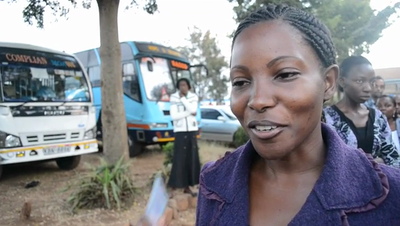 Election day at Uhuru Gardens Polling station, langata, Nairobi, Hilda talks about her excitement about voting. 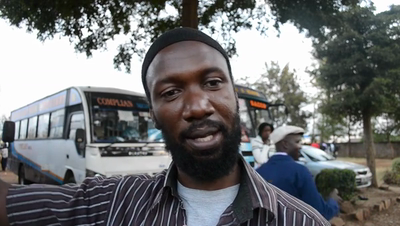 A first time voter talks about his hopes for Kenya on election day 2013 at Uhuru Gardens Polling Station, Langata, Nairobi. 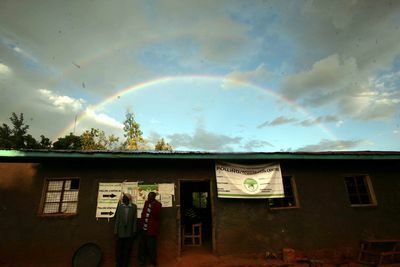 Polling station on the edge of Kibera, one of Kenya's largest slums. 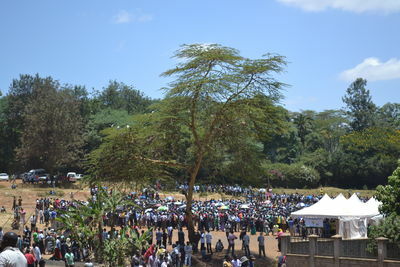 Voters queued patiently for hours outside in the baking sun. 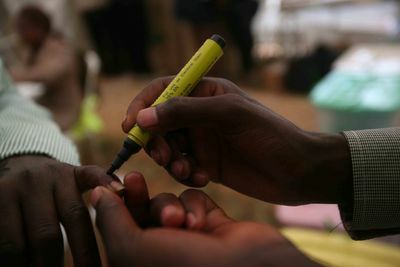 Voting on election day in Kibera, Kenya. 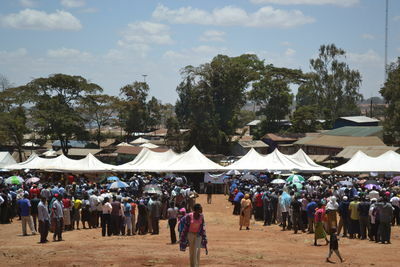 Voters queued patiently for hours outside in the baking sun. 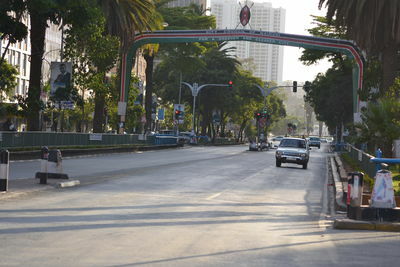 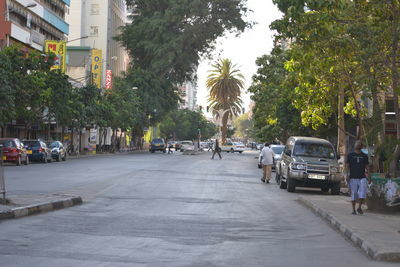 Nairobi as its rarely seen, deserted of traffic and people, as election day draws to a close and the 6pm curfew announced by the police approaches. 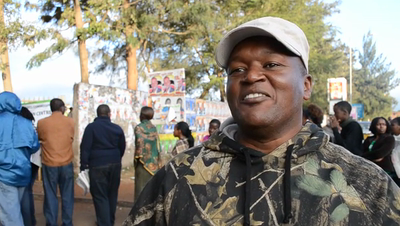 voter talks about his experience after voting at Uhuru Gardens Polling Station Langata, Nairobi. 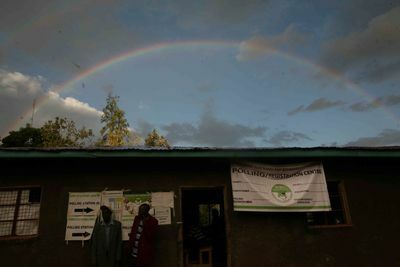 People stand at the Mutituni polling centre in Machakaos as Rainbow forms during the voting in the Kenyan General Elections. 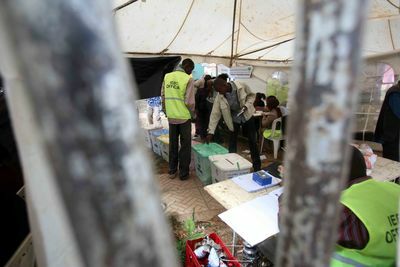 IEBC Official empties a ballot box at Mitutini polling centre in Machakos for counting during the First Kenya's General Elections after the New Constitution. 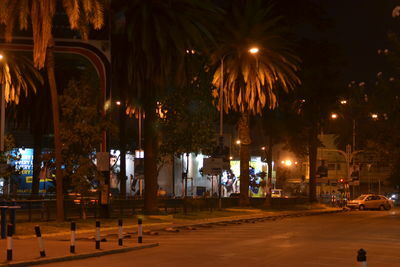 Voting takes place at Machakos polling centre during the first General Elections in Kenya in the New Constitution. 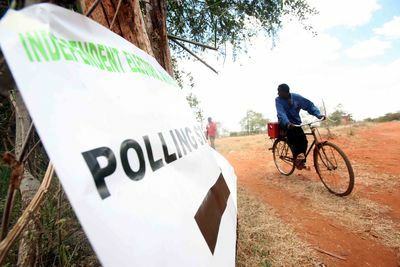 A voter rides past a poster showing a polling station in Machakos during the first General Elections in Kenya in the New Constitution. 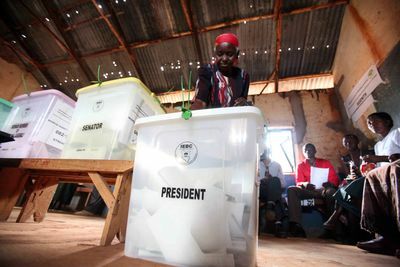 An old woman casts her ballot at Machakos polling centre during the first General Elections in Kenya in the New Constitution. 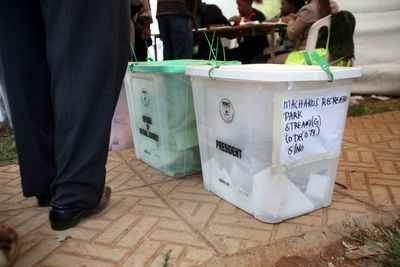 A voter casts his ballot at Machakos polling centre during the first General Elections in Kenya in the New Constitution. 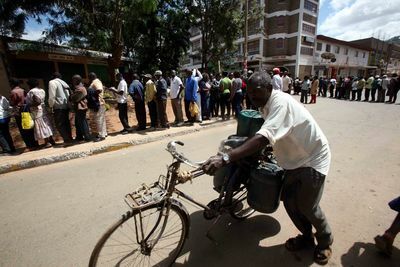 A man pushes his Bicycle past voters at Machakos polling centre during the first General Elections in Kenya in the New Constitution. 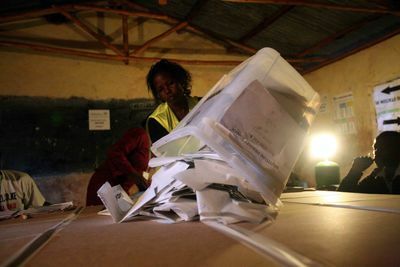 A voter Passes past a ballot box at Machakos polling centre during the first General Elections in Kenya in the New Constitution. 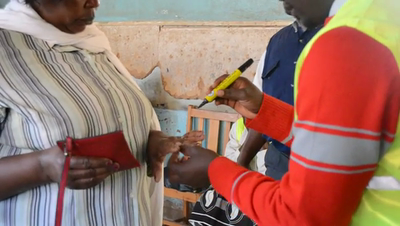 A voter gets a mark on the finger at Machakos polling centre during the first General Elections in Kenya in the New Constitution. 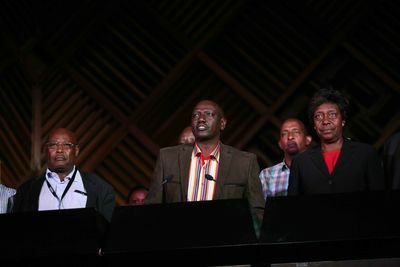 ICC Suspect William Ruto (centre) who is the Jubilee Coalition's running mate, leads members of his party Francis Kaparo and Charity Ngilu, in addressing journalists about the accusation that foreign envoys meddled in the Kenyan electoral process with the intent of manipulating presidential results. 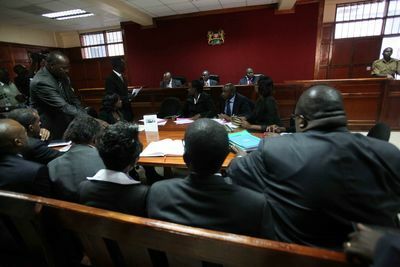 Lawyers at Milimani Law Court during the rulling of a case that was filed by AfriCOG organization to block the tallying of votes whereby it was rejected. 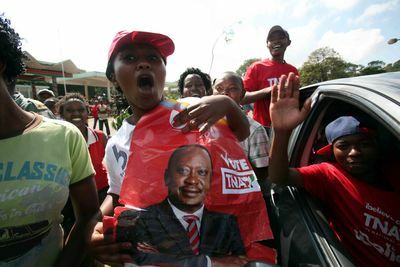 ICC Suspect Uhuru Kenyatta was leading the election followed by the Jubilee presidential candidate Raila Odinga as Kenyans waited to hear the results of the new president. 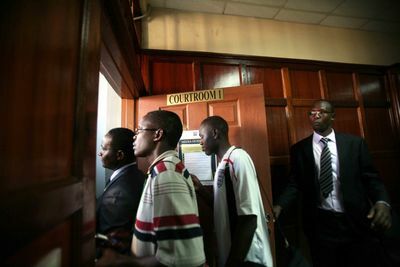 Members of the public leave Milimani Law Courts in Nairobi after the ruling of a case filed by AfriCOG organization to block the tallying of votes whereby it was rejected. 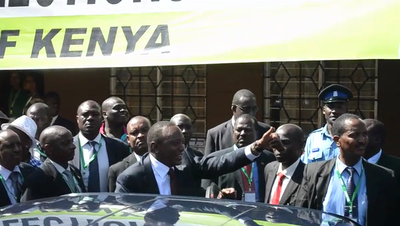 ICC Suspect Uhuru Kenyatta was leading followed by the Jubilee presidential candidate Raila Odinga as Kenyans waited to hear the results of the new president. 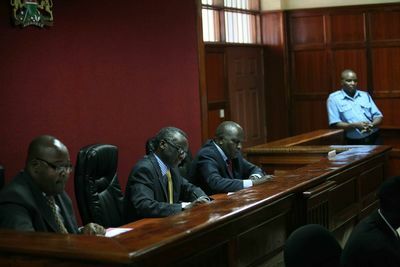 Judges David Majanja(left),Isaack Lenaola(centre) and Weldon Korir at Milimani Law Courts in Nairobi during the ruling of a case filed by AfriCOG organization to block the tallying of votes whereby it was rejected. 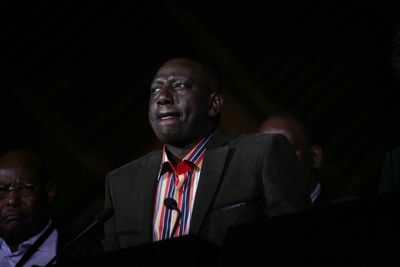 ICC Suspect Uhuru Kenyatta was leading the election, followed by the Jubilee presidential candidate Raila Odinga as Kenyans waited to know the results of the new president. 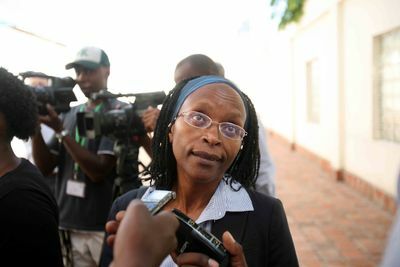 AfriCOG Executive Director Gladwell Otieno addreses journalists at Milimani Law Courts in Nairobi during the ruling of a case filed by AfriCOG organization to block the tallying of votes whereby it was rejected. 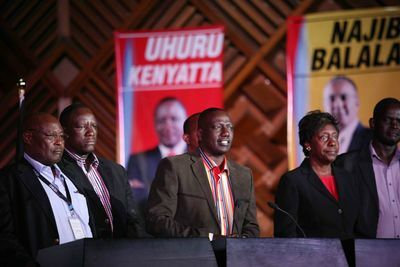 ICC Suspect Uhuru Kenyatta was leading the election, followed by the Jubilee presidential candidate Raila Odinga as Kenyans wait to know the results of the new president. 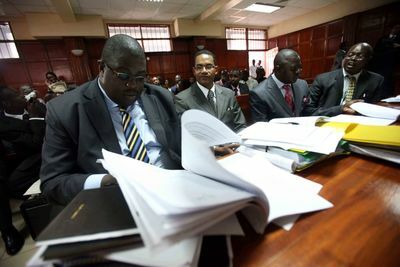 A Court in Nairobi is seated to hear a case that was filed by AfriCOG organization to block the tallying of votes whereby it was rejected. 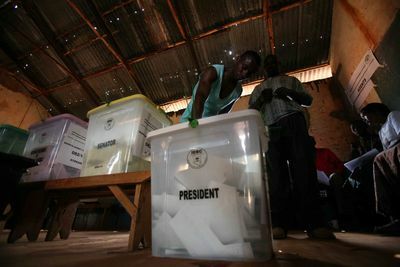 ICC Suspect Uhuru Kenyatta was leading the election, followed by the Jubilee presidential candidate Raila Odinga as Kenyans wait to know the results for the new president. 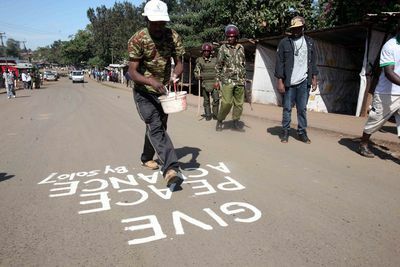 An artist writes peace message on the Road in Nairobi's Kibera Slums as the out-going Kenyan Deputy Prime Minister Uhuru Kenyatta was named the New President after winning in the Elections that are being disputed by the outgoing Prime Minister Raila Odinga. 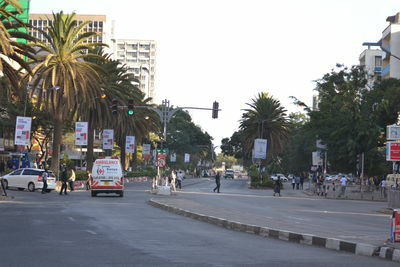 Supporters of newly elected Kenyan president celebrate in Nairobi. 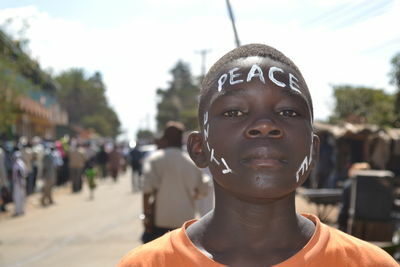 A young boy from Kibera, one of Kenya's largest slums in Presedential Candidate Raila Odinga's constituency, is sporting peace love and unity on Kenya's election day. 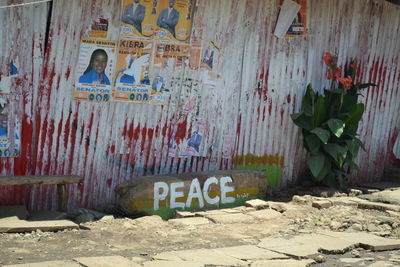 'Peace' graffiti in Kibera - one of Kenya's largest Slums - on election day 2013. 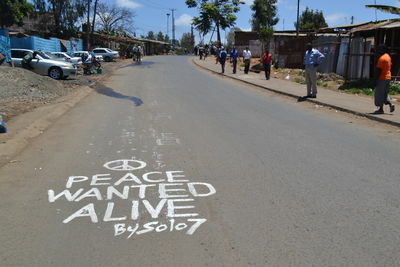 Kibera where this shot was taken was the site of much of the violence after the 2007 elections. 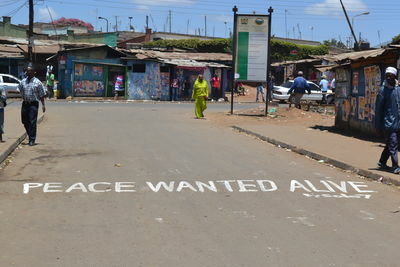 Road 'Peace' graffiti in Kibera - one of Kenya's largest Slums - on election day 2013. 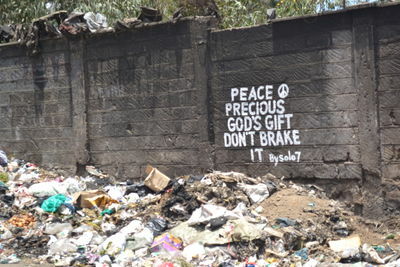 Kibera where this shot was taken was the site of much of the violence after the 2007 elections.